Papa Murphy's take-and-bake HeartBaker Pizza returns for the Valentine's season and is available at participating locations through February 14, 2016. 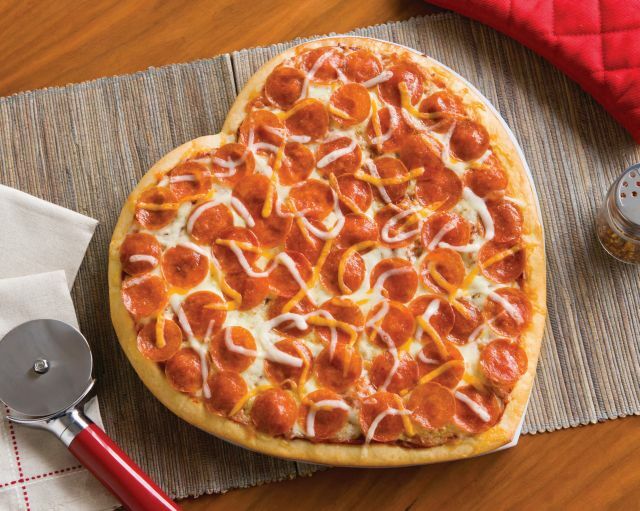 The heart-shaped, seasonal pizza features scratch-made dough, traditional red sauce, whole milk mozzarella cheese, and pepperoni. The pizza requires baking at 425 degrees for about 12 to 18 minutes (depending on your oven). Prices for the HeartBaker Pizza vary by location but generally fall around the $8 range.